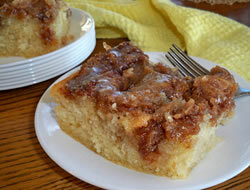 A delicious moist cinnamon cake with a hint of maple flavor. 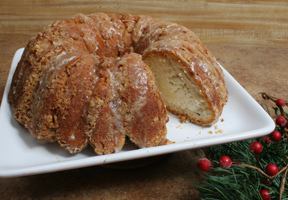 This makes a perfect coffee cake to serve with a hot cup of coffee. Enjoy it with family and friends at coffee time or anytime of the day. Add all the cake ingredients, except the butter, to a large mixing bowl; beat until all ingredients are evenly mix together. Add the melted butter and slowly stir it into the batter; pour into the greased baking pan. Mix all the topping ingredients together; beat until well combined. Drop the topping by teaspoons evenly over the batter. 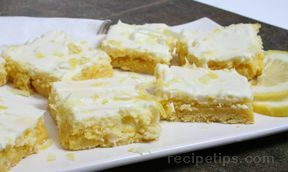 Using a table knife, swirl the topping back and forth through the batter. Prepare the glaze with the cake is baking. Stir all ingredients together until smooth. 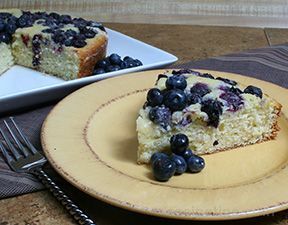 When the cake is done, remove from the oven and place on a cooling rack. Drizzle the glaze evenly over the warm cake. "Delicious! I had some friends over for coffee and served this cinnamon cake. Everyone loved it. It was so moist and had just a hint of maple flavor mixed with the cinnamon. I had to give the recipe to all of them."